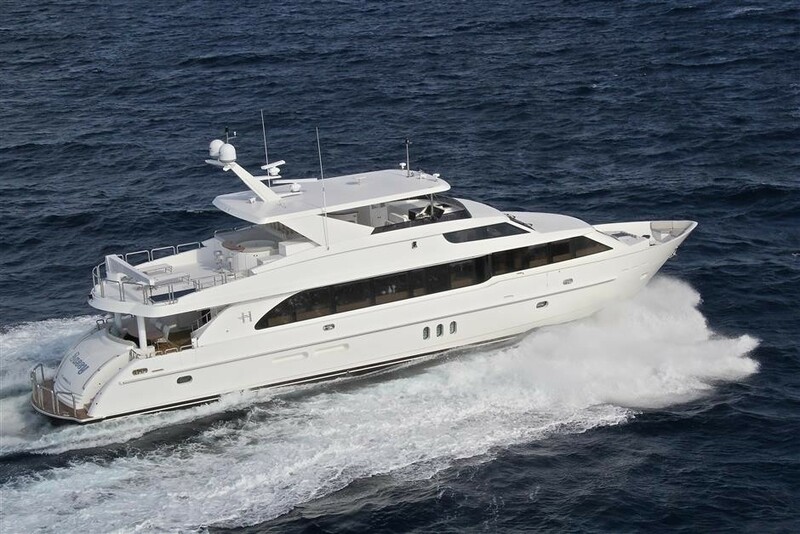 The lovely 2014 superyacht MAR AZUL (Ex Sassy) is a 101' Raised Pilothouse semi-displacement vessel, built by the prestigious US shipyard, Hargrave Yachts. 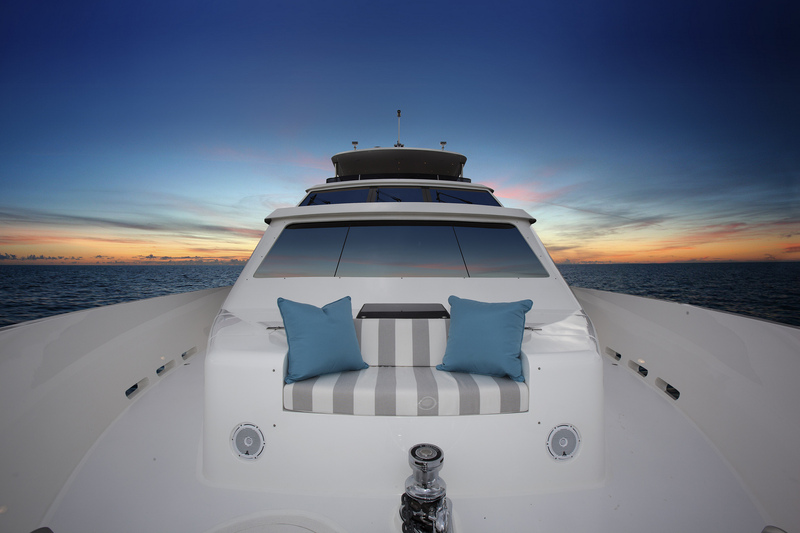 Luxury motor yacht MAR AZUL boasts stylish exterior design by Black Design and beautiful urban interiors, created by Shelley DiCondina of Yacht Interiors by Shelley. 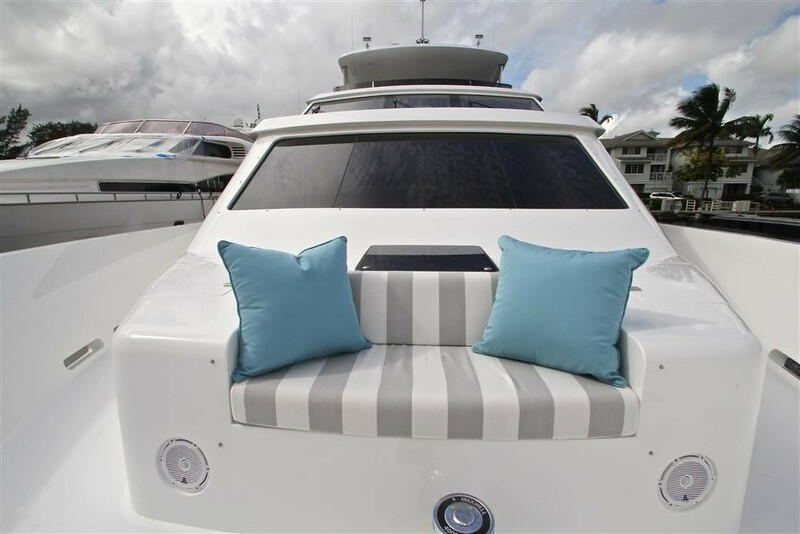 SASSY offers accommodation for up to 8 charter guests, in 4 spacious double cabins. 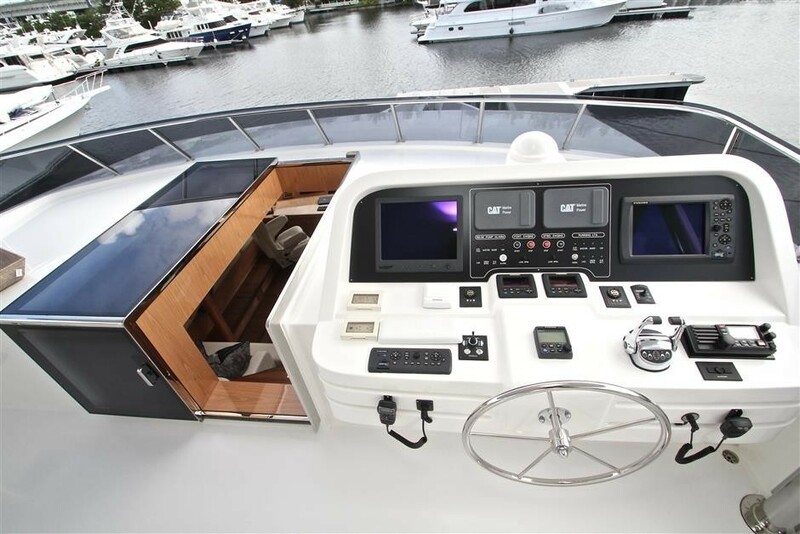 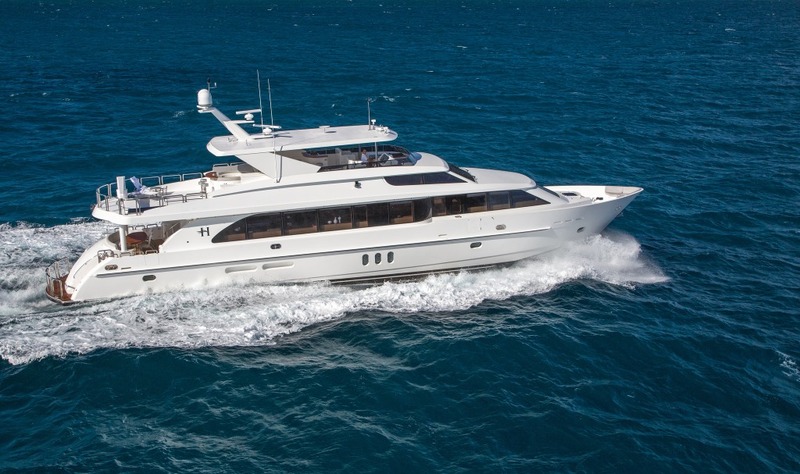 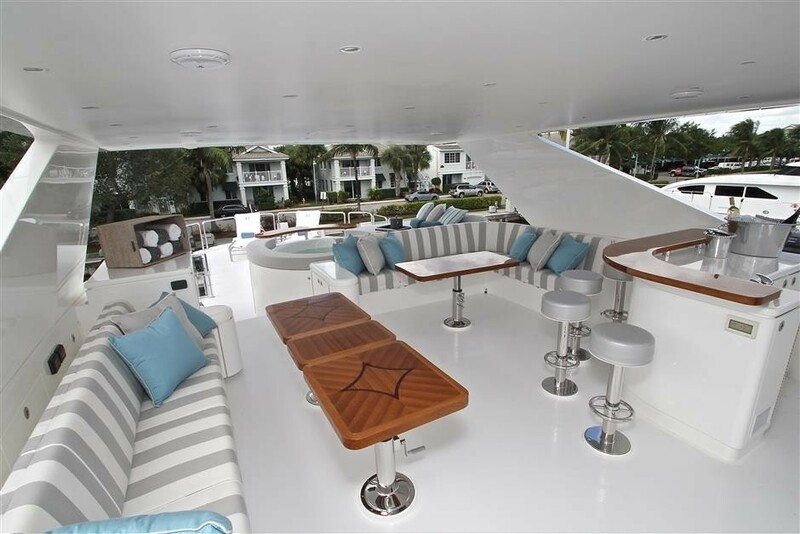 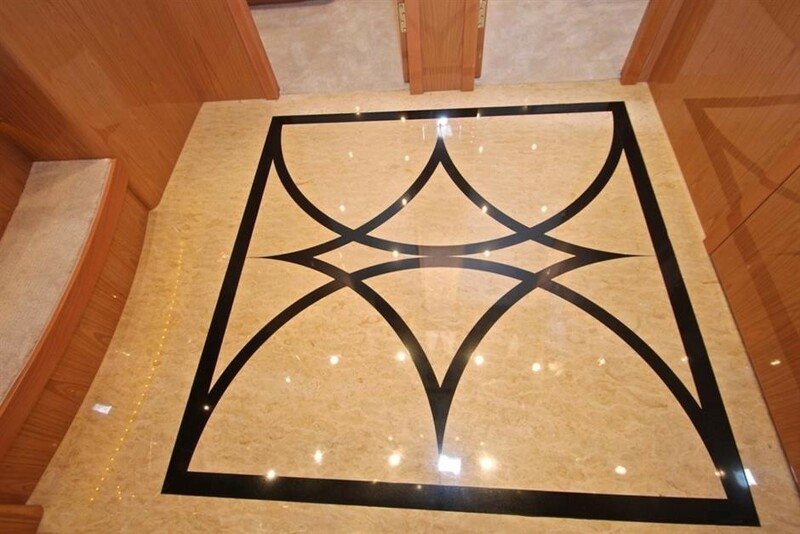 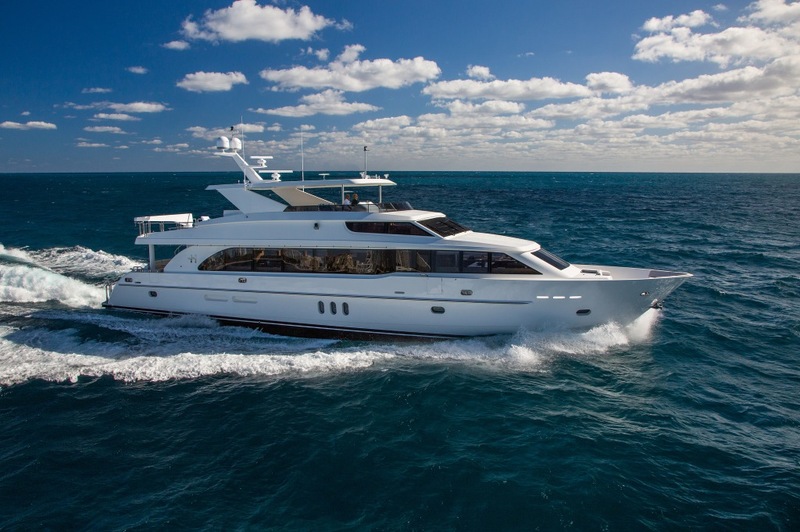 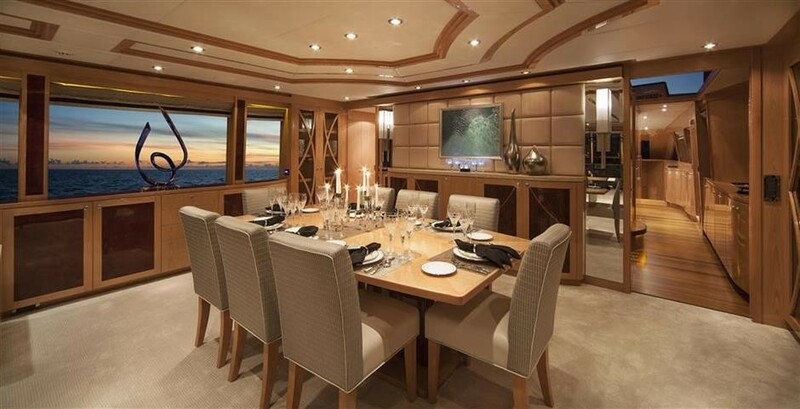 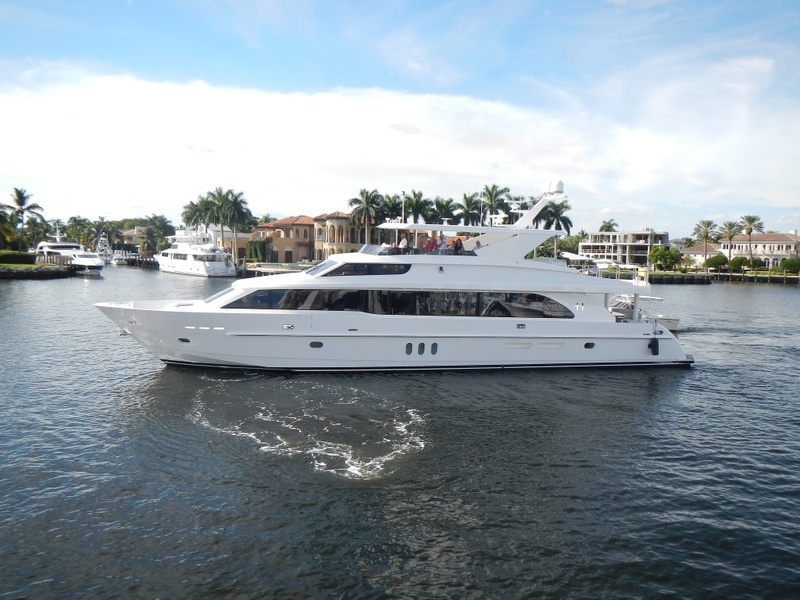 Motor yacht MAR AZUL features an open plan salon and formal dining area, perfect for socializing and relaxing. 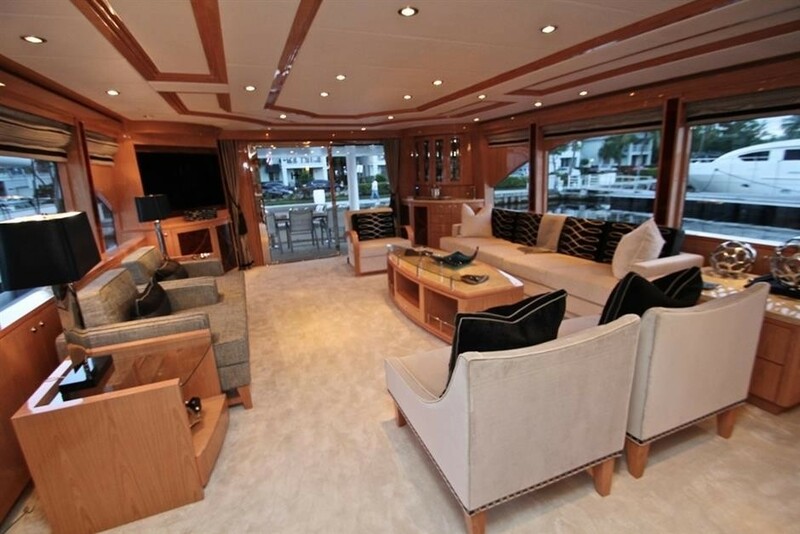 The salon lounge boasts 2 opposing sofas, occasional chairs and coffee table. Forward, the formal dining table is flanked in elegant high back chairs, seating up to 8 charter guests in ultimate style. 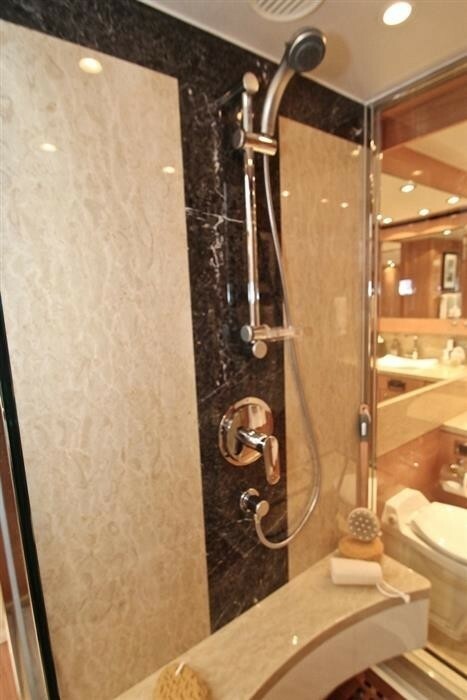 A day is head is available forward of the salon. 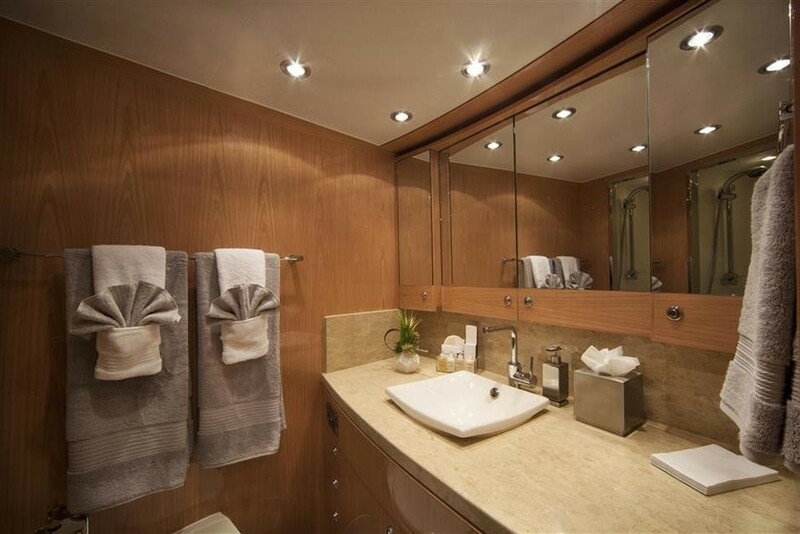 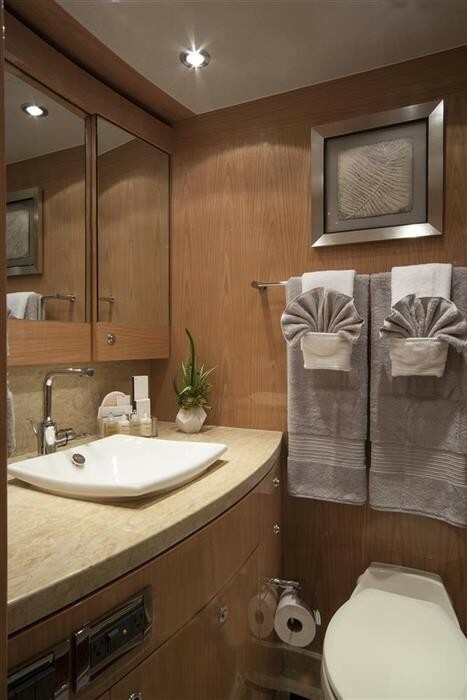 Steps on the port side forward give access below decks, to 4 well-appointed en-suite cabins. 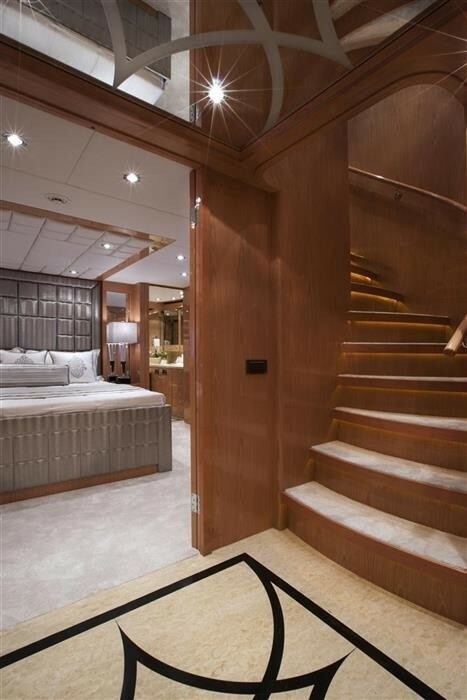 On the starboard side, a foyer leads to steps up to the bridge deck, and further forward to the large open country style galley. 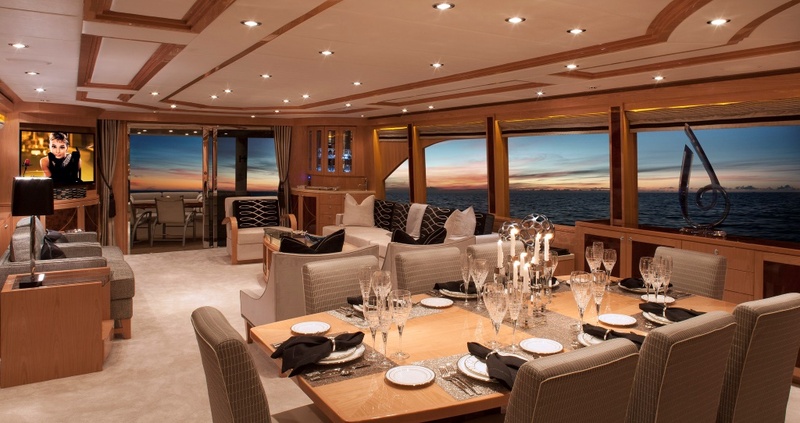 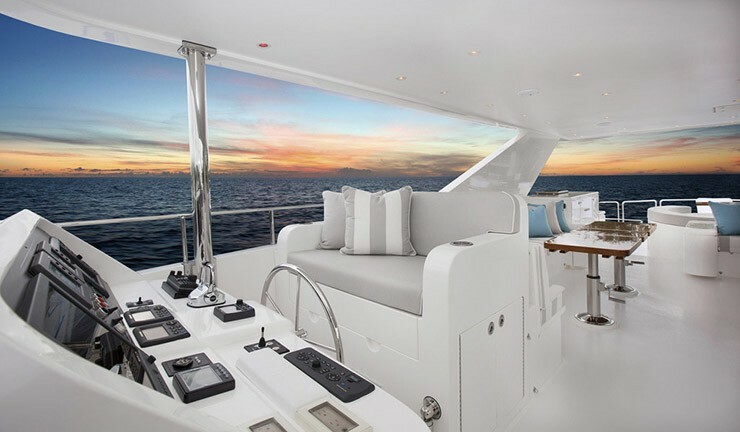 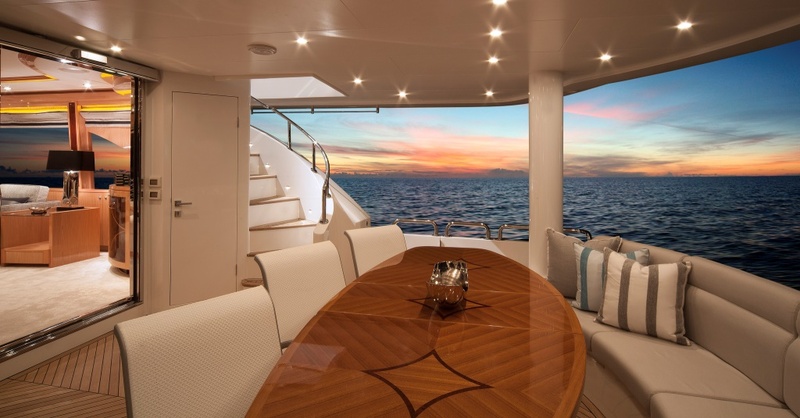 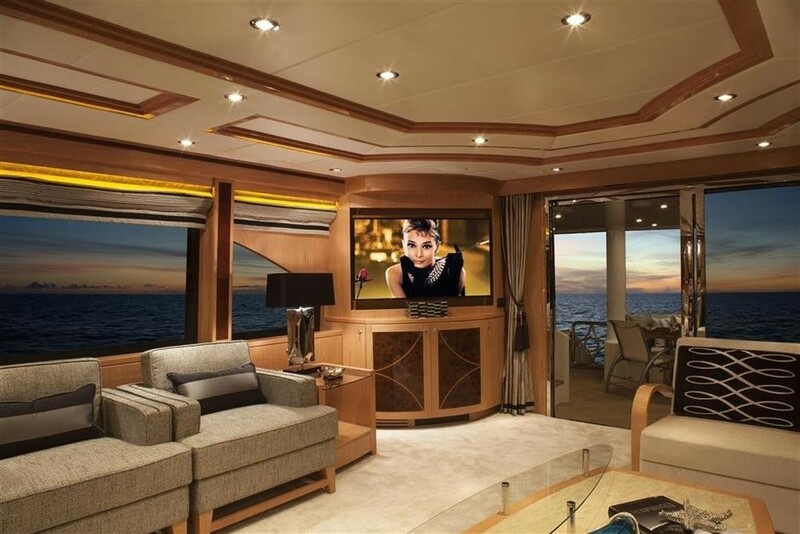 The salon and galley benefit from panoramic windows, providing ample natural light and unrivaled views. 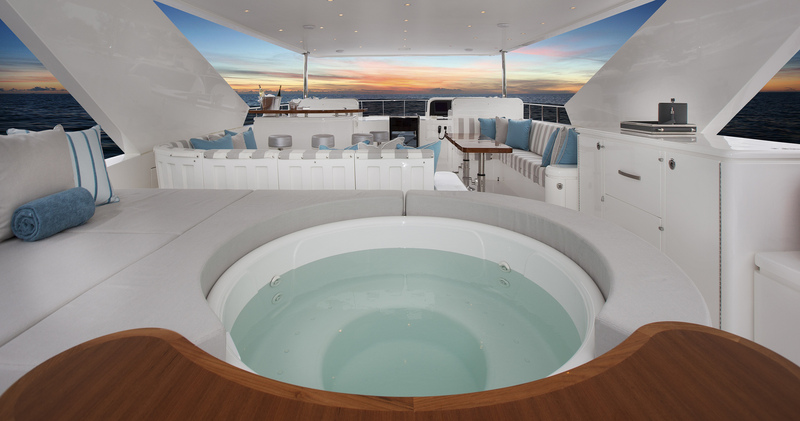 On deck, charter yacht MAR AZUL has plenty of exterior living to enjoy. 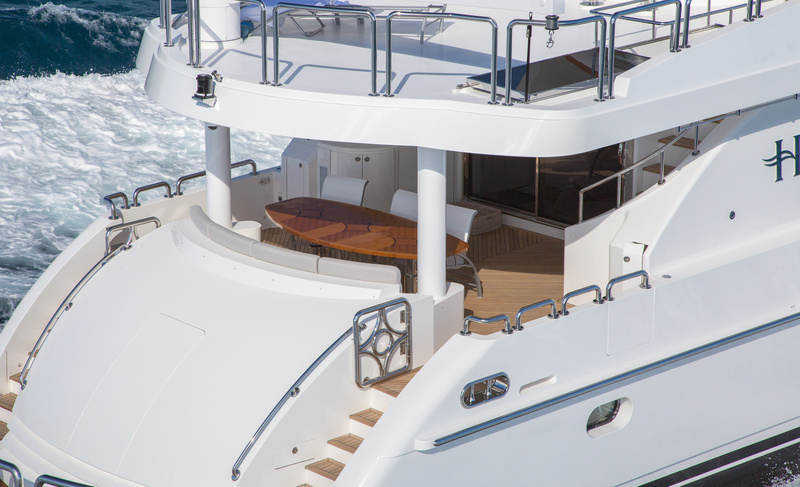 The main deck offers a shaded aft deck with seating and an alfresco dining table. 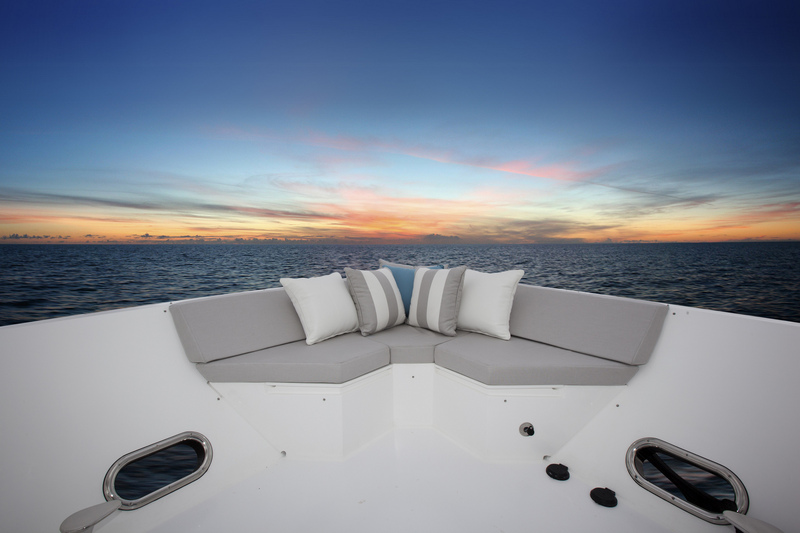 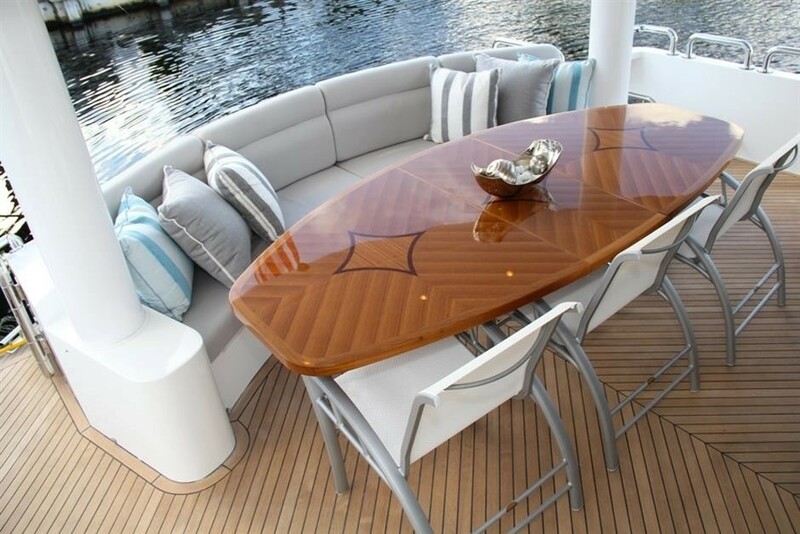 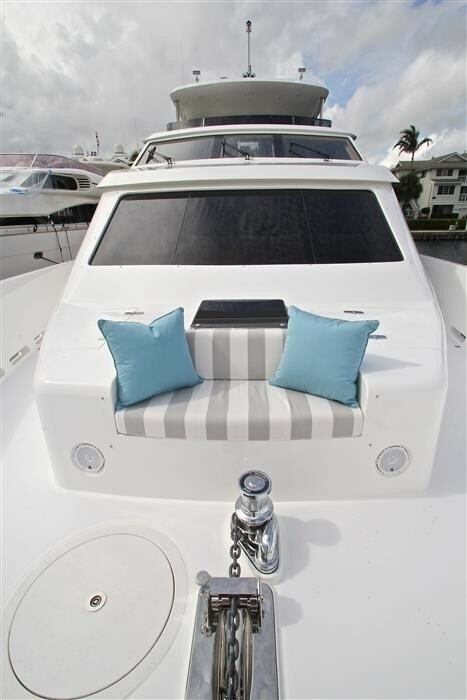 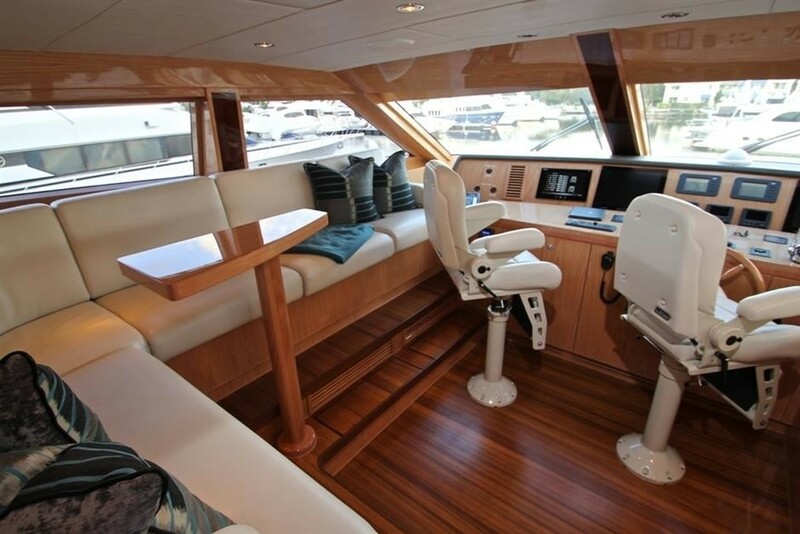 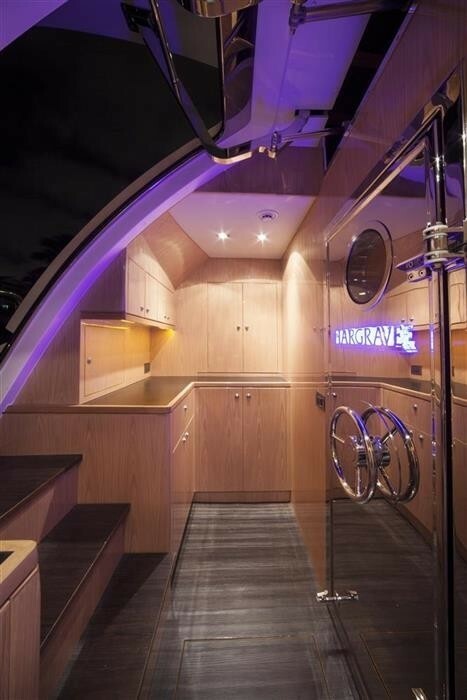 Side decks lead effortlessly to a generous foredeck and 2 upholstered seating areas. 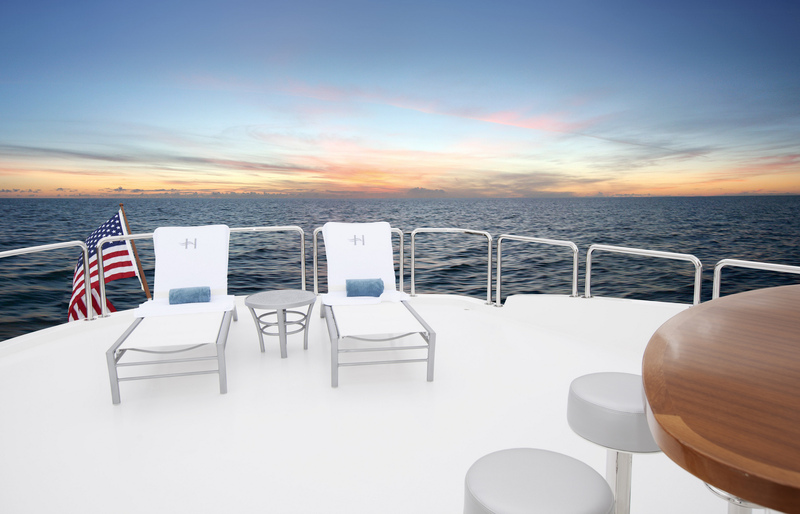 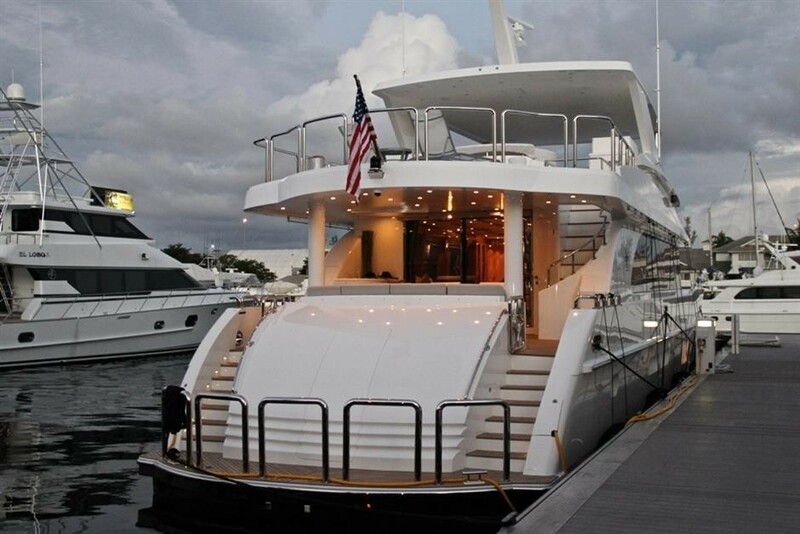 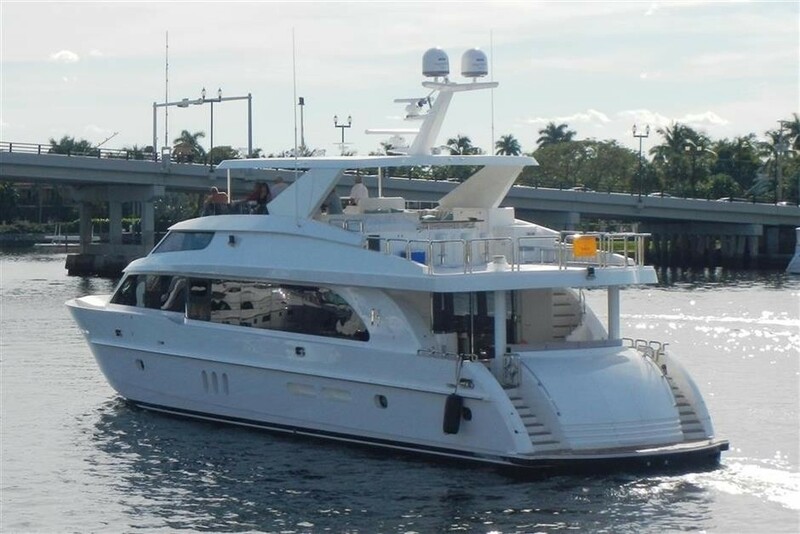 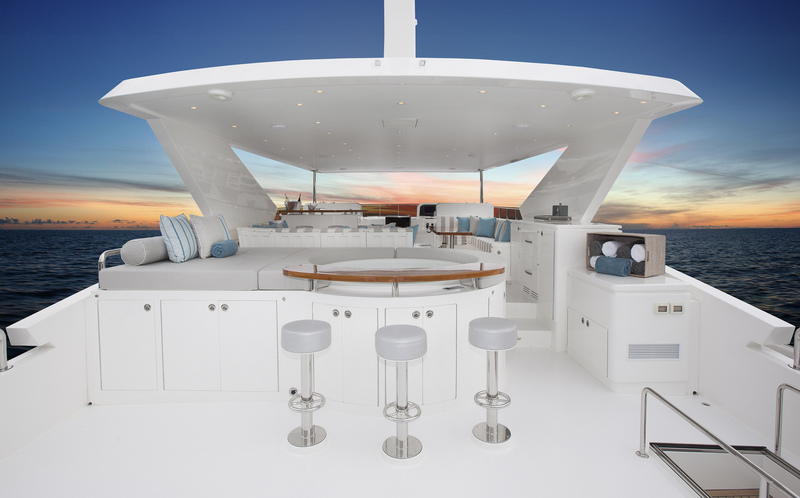 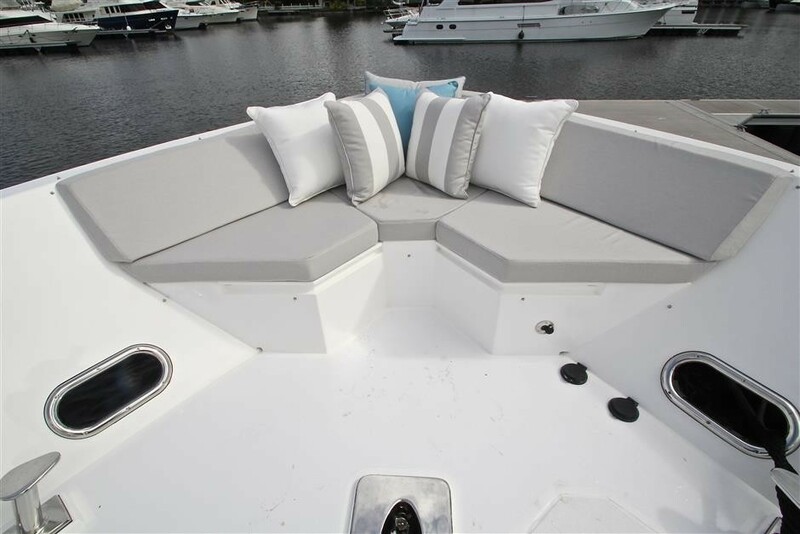 On the upper deck, guests may enjoy sun or shade thanks to a partial hard top Bimini, alfresco dining, ample seating, wet bar, deluxe Jacuzzi with adjoined sunpad, and chaise lounges. 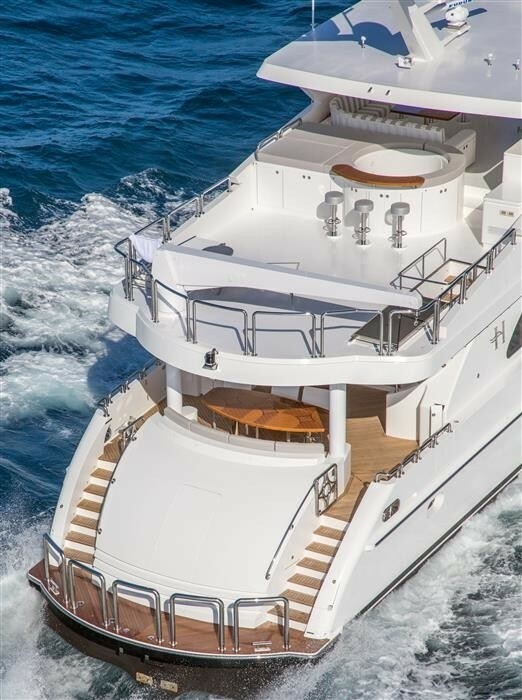 Run by twin Cat C-32 ACERT diesel engines, the 101' Hargrave superyacht MAR AZUL has a beam of 6,40m (21'). 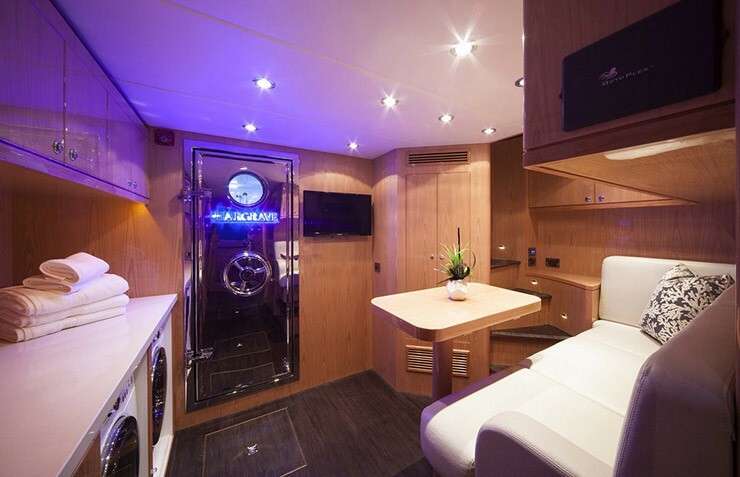 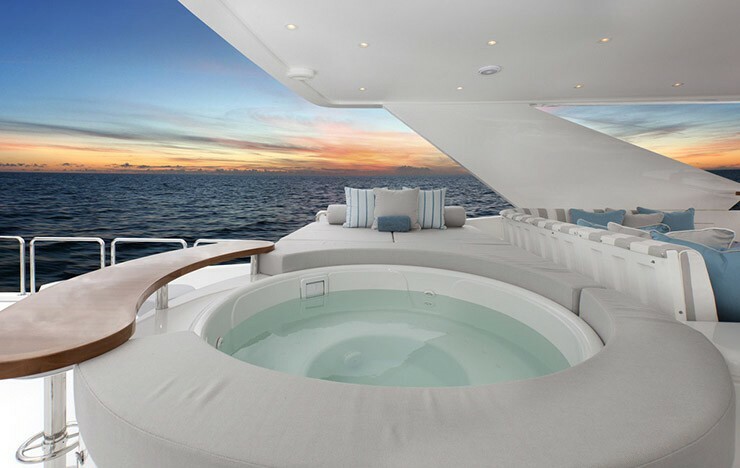 Luxury motor yacht MAR AZUL offers 4 cabins, for up to 8 charter guests, each with private en-suite facilities. 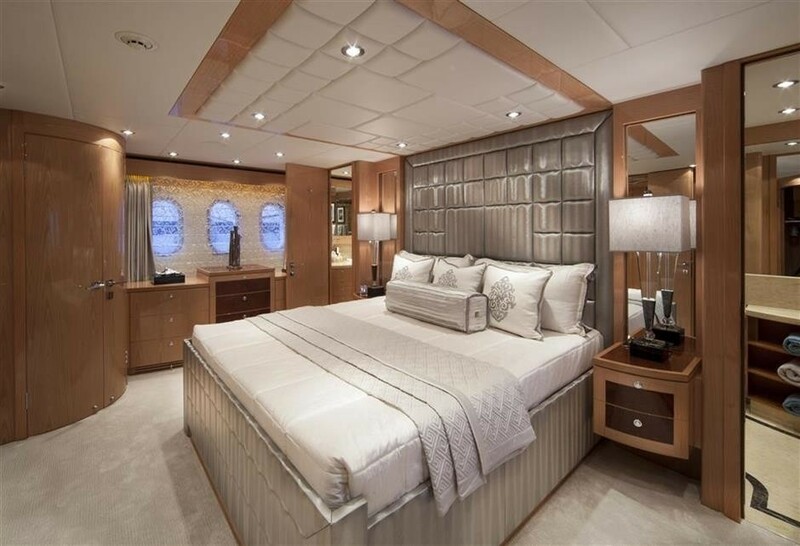 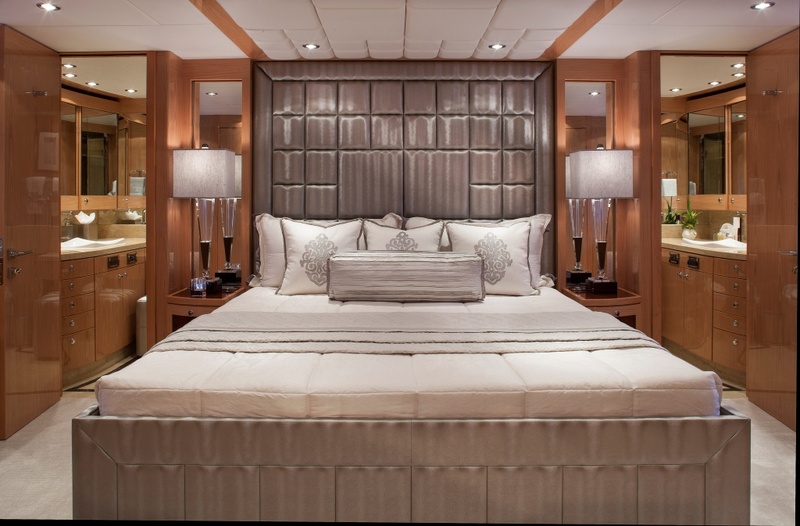 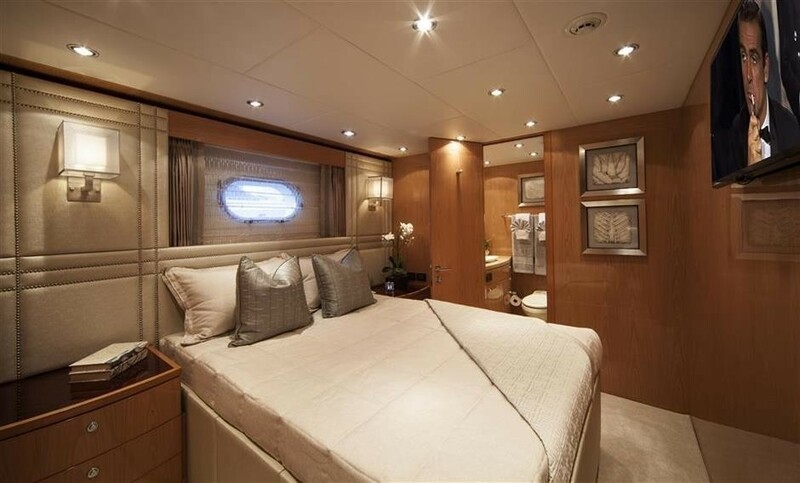 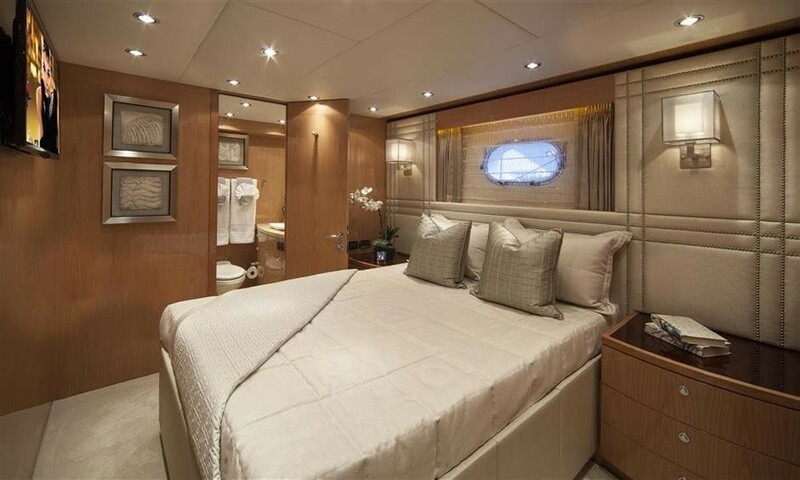 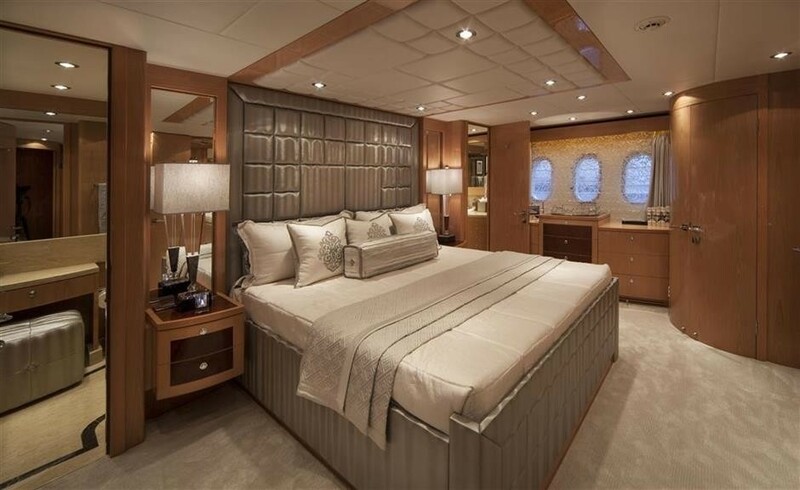 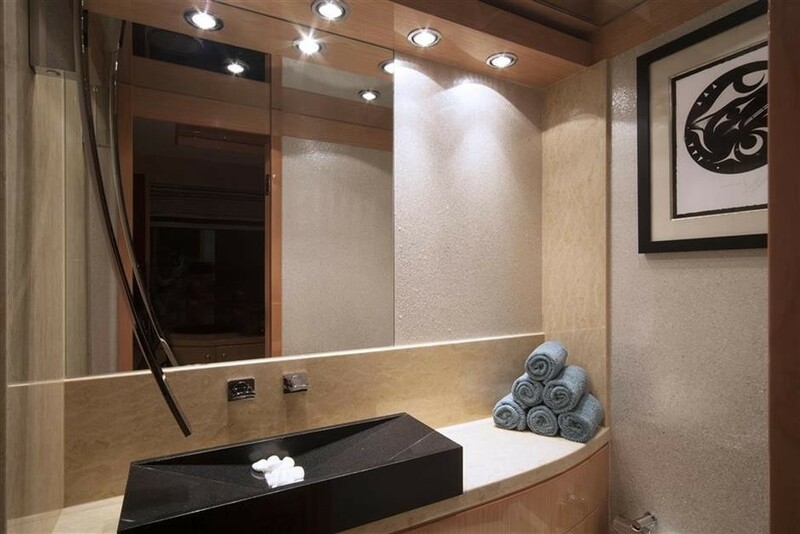 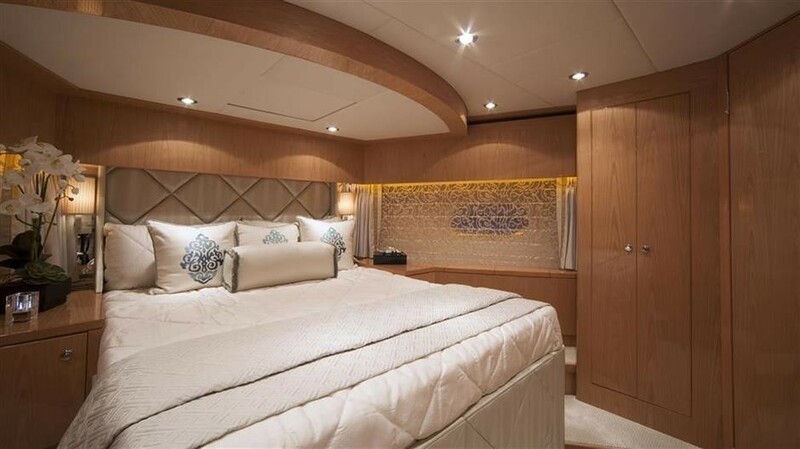 The master suite is amidships and full beam of the yacht, with a center lined king size bed. Forward is the full beam VIP suite, with center lined queen size bed. 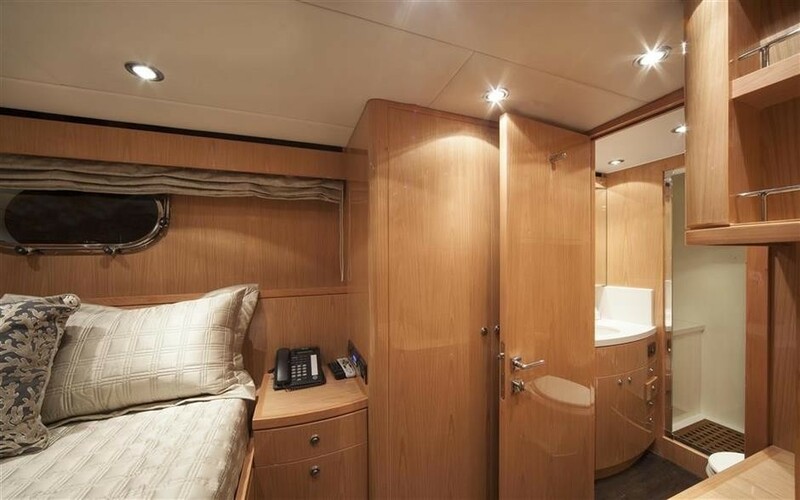 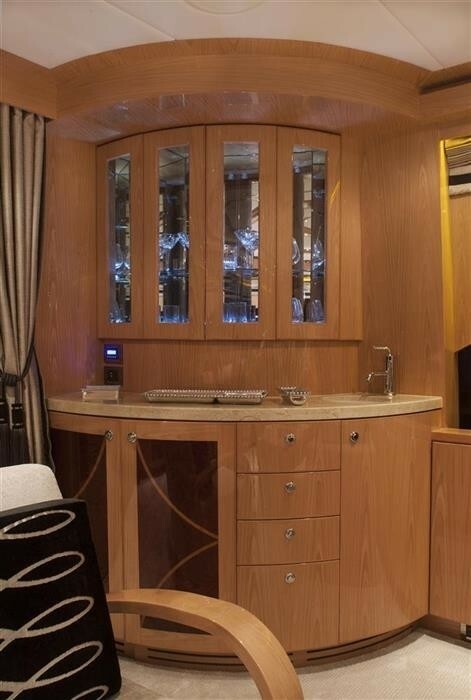 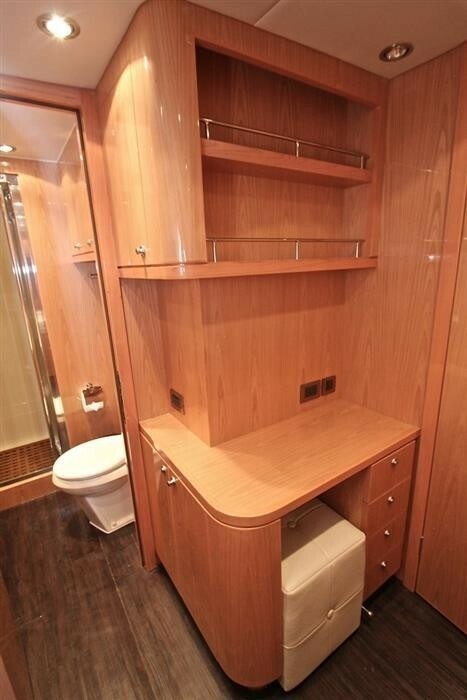 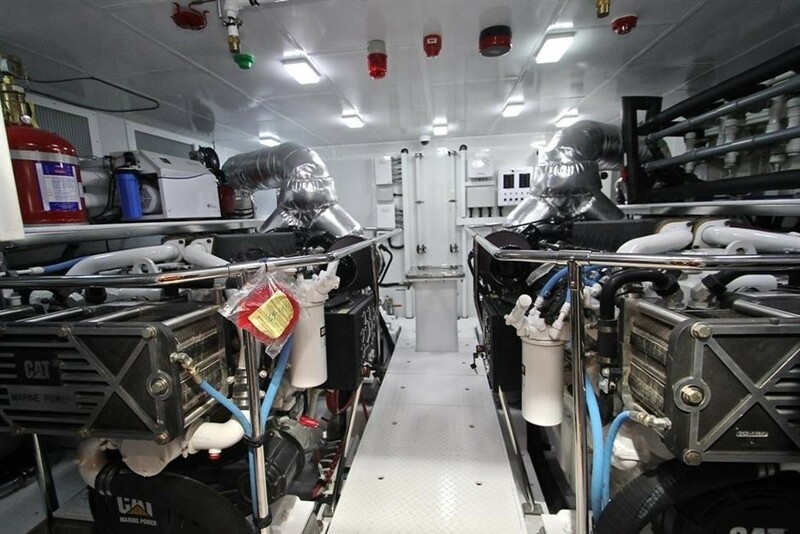 On port and starboard are 2 mirror image double cabins, with a walk around queen size bed each.